For the past 18 months, the Moon Milk series has set the scene for poetry readings in Hamilton. Featured poets, open mic readers and attentive audiences have filled intimate spaces with rhythm and clever alliterations. With a quick Google search, you’ll discover that the Moon Milk name is also claimed by a drink influenced by Ayuverdic traditions and consists of warm milk and spices meant to help relieve stress before sleep. 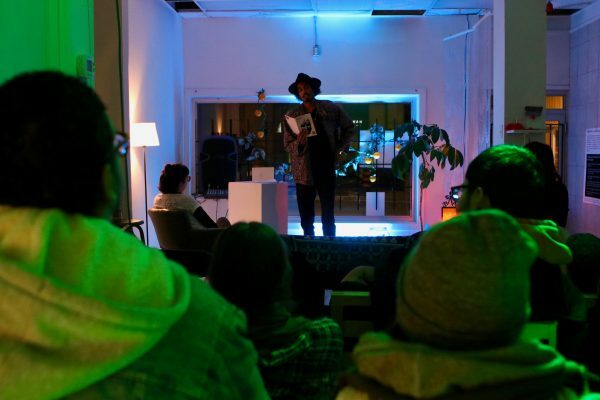 There’s an interesting connection between a soothing nightly drink and a monthly poetry event. Upon meeting Moon Milk’s co-organizer, S. K. Hughes, the significance of the name was made more prevalent. “We came up with Moon Milk as an extension of [our] Sister Moon Collective. We thought about poetry as the milk that comes from the moon. What the moon produces can be thought of as poetry, or art or other forms of beauty,” explained Hughes. Through the Moon Milk series, poets and audiences alike can find relief in poetry. It’s both an outlet and a sense of community. 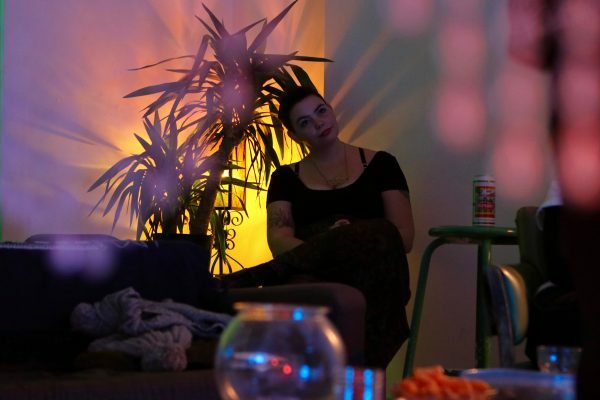 The Sister Moon Collective, which consists of Hughes and Lauren Goodman, focuses on building community through the arts, while aiming to carve out safer spaces and accessible events. Moon Milk has become the Collective’s main monthly event since its inception two years ago to fulfill the need for consistent poetry events in Hamilton. “I think that community is often built on shared interests…Having a poetry-focused event has brought in some new faces and some new people who have started to attend every month. I think that’s been a community building event. 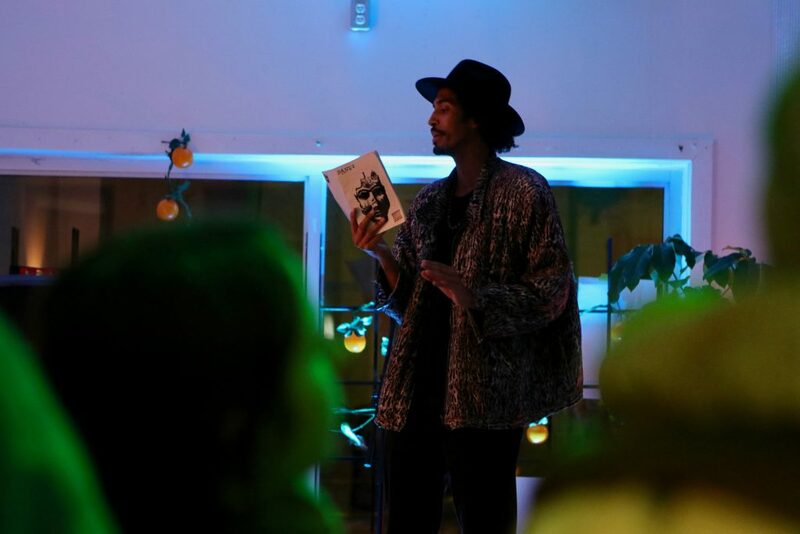 We can share our enjoyment of poetry and our appreciation or the space and for connecting over the love of this art form,” explained Hughes. Moon Milk first started at Casino Art Space. 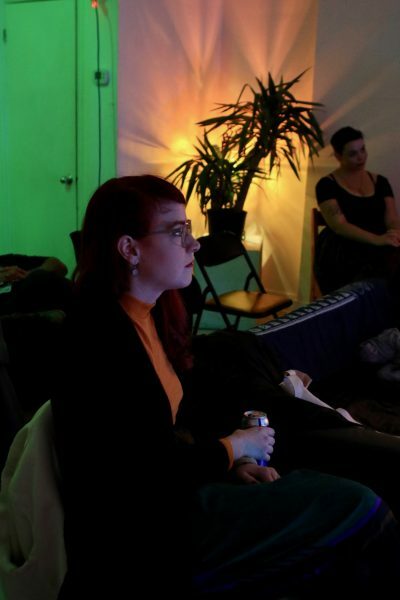 Similar to the Hamilton Audio Visual Node , the current space for the series, Casino was a shared studio and event space ran by 16 Hamilton-based artists. The series shifted to HAVN after Casino closed due to shifting priorities. While poetry may seem to reside outside of HAVN’s mandate, the Moon Milk series was welcomed with open arms. The poetry nights fit in well within the artist-run gallery space’s other events, such as HAVN Select, which are weekly open gallery hours dedicated to showcasing their exhibits as well as tapes, zines and tees made by HAVN members and local artists. Nights at Moon Milk start off with a featured reader, typically from Hamilton or Toronto, followed by an open mic. The routine was adopted from the Sophisticated Boom Boom events in Toronto that Hughes frequented while living there. “There are lots of folks that come out regularly to the open mic…That’s [one] way we find out about people that we can have as featured readers. I’m also still quite involved in the poetry scene in Toronto…and sometimes I’ll reach out to poets I know in Hamilton [asking for’ recommendations that would be a good fit for our event,” explained Hughes. Following the Sister Moon Collective’s focus on accessibility, Moon Milk is a pay what you can event and all monetary contributions go to the featured reader. Moon Milk also strives to create a safe and inclusive space that fosters creativity. There are no themes to their events and everyone is welcome. People are invited to read completed works or poems in progress. They can even read other poets’ work as long as the appropriate credit is given. Every Moon Milk is made special by the people who passionately read and intently listen. The series is fostering a community in Hamilton built around poetry, the milk from the moon.